Marc Teatum is an author of motorcycle fiction and other writings. 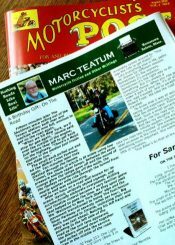 Marc Teatum is an author of motorcycle fiction and other writings. One Light Coming is a thriller, a murder mystery and a love story all rolled into one! Readers are taken on a tour of the outlaw biker community; to its rallies, inside it’s clubhouses, inside the lives and deaths of a nearly invisible part of American society as our hero falls for a beautiful woman only to get accused of her death. 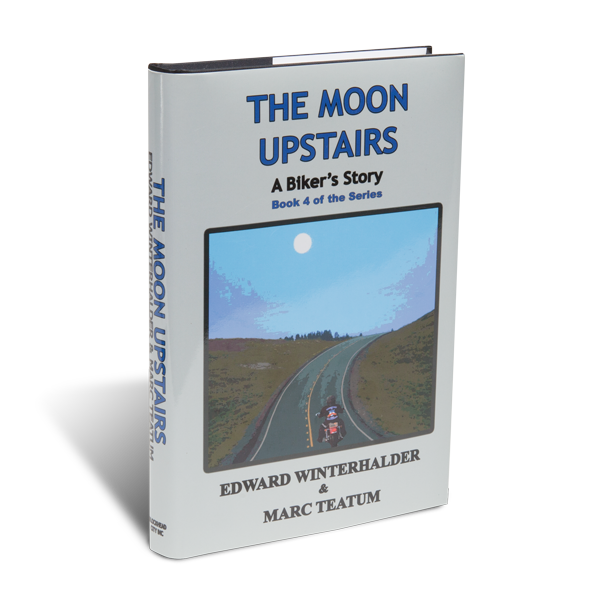 The Moon Upstairs, a story where redemption and reunion, love and loyalty, life and death combine to take readers deep into the world of the 1% outlaw biker. Readers get to go inside an MC club, learn the rules, and find out what it’s like to be inside this secret society within American culture and understand that behind every patch holder, there’s another family that’s almost as important as the ‘family’ that makes up an MC. 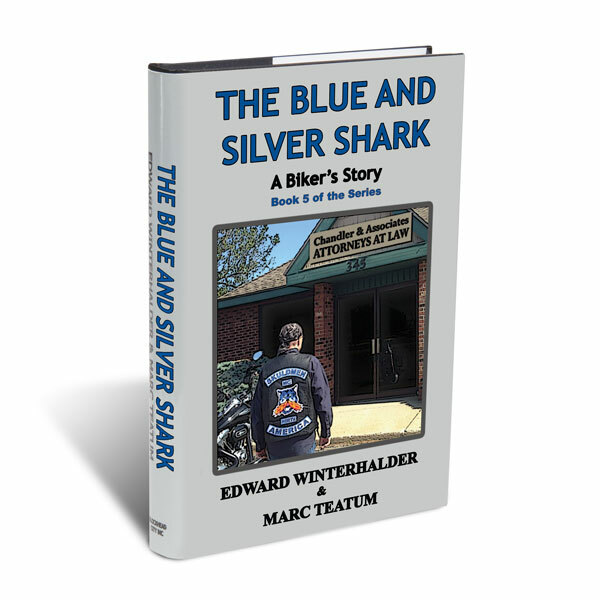 The Blue and Silver Shark continues to take readers deep into the world of outlaw bikers where we learn that not all 1%ers live outside the law, in some cases, they are on the inside. Enlisting several chapters of Skuldmen MC in New England to assist him in locating a third suspected Boston Marathon bomber, a lawyer is conflicted as he straddles a fine line between the two worlds he lives in, and the choices he must make when it comes to moral justice, or biker justice. 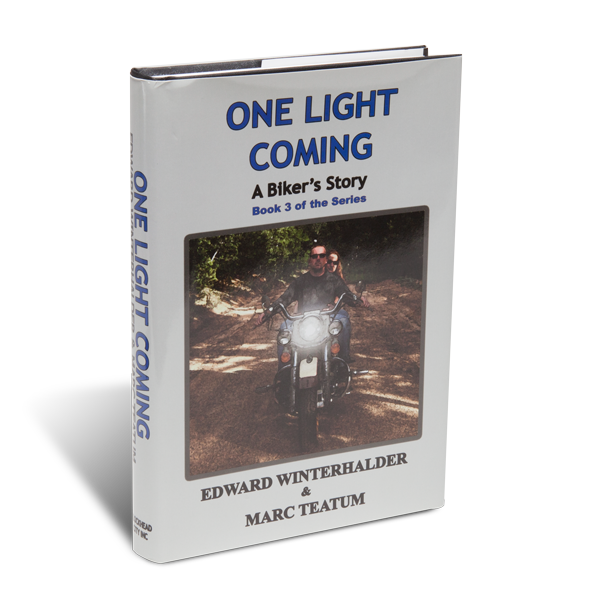 One Chapter each from One Light Coming and The Moon Upstairs are included in The Ultimate Biker Anthology: An Introduction To Books About Motorcycle Clubs & Outlaw Bikers. Outlaw bikers and 1%er motorcycle clubs have always carefully guarded their privacy, however in recent years more and more books have come to be written by and about outlaw bikers, the lifestyle, and the realities of life inside the patched motorcycle club world. 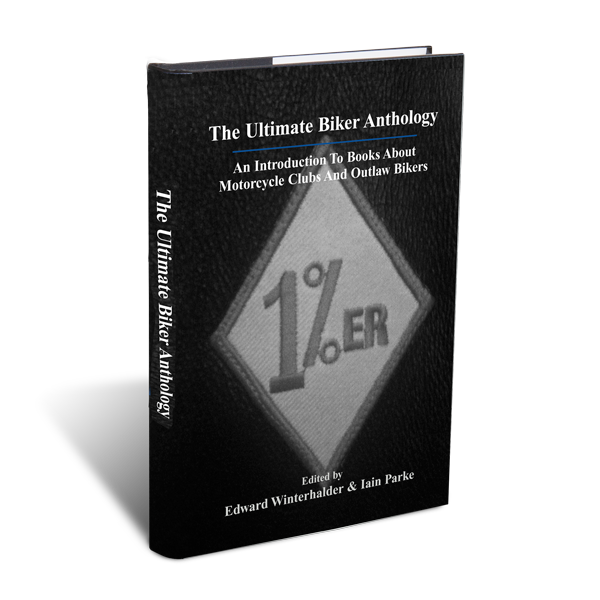 This anthology brings together some of the best authors in the world, who have recently written about motorcycle clubs, outlaw bikers and the biker culture. In the Spring of 2016, I began contributing a monthly column on Bikers and the Biker Lifestyle. Follow here for samples.